Dep. Min. Ben Dahan says his party will not stay in the government until it is too late, as happened in the Disengagement. 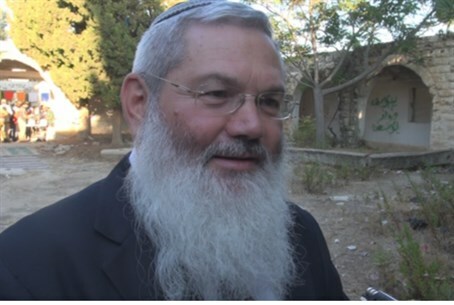 Deputy Minister of Religions, Rabbi Eliyahu Ben Dahan (Bayit Yehudi), warned Sunday that the Bayit Yehudi will leave the government if it goes too far in concessions toward the Palestinian Authority (PA). He was referring to the behavior of the National Religious Party, which did not leave Ariel Sharon's government coalition in time to stop the Disengagement plan from being executed in 2005. There is pressure on Bayit Yehudi to leave the current coalition because of Prime Minister Binyamin Netanyahu's decision to enter “peace talks” with the PA and because of the deeply unpopular decision to free terrorist murderers as a “gesture” toward the PA. He added, though, that “you will see it soon,” perhaps a hint that Netanyahu has agreed to allow construction in Judea and Samaria in order to soften the backlash from his right-wing coalition partners, as has been speculated. Sa-Nur was one of the north Samaria communities that was torn down in the 2005 "Disengagement," which also saw the expulsion of 9000 Jews from Gush Katif, in Gaza.